ezCheckPrinting software is designed for US market. Because it is so flexible, we have many ezCheckPrinting customers from Canada also. Here is the guide on how to set up ezCheckPrinting for Canada checks. 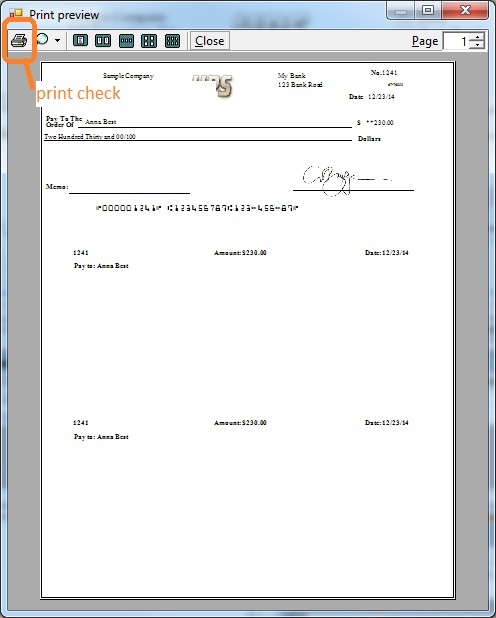 If you have not installed ezCheckPrinting, you can download this check software and try it for free before purchasing. 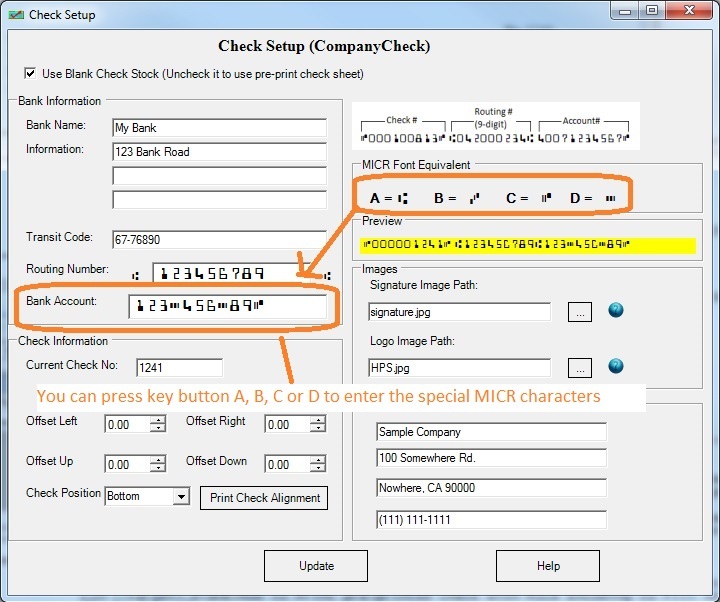 ezCheckPrinting allows customers to design and print professional checks with MICR encoding and logo on blank stock. You can use it as stand-alone computer check writer, you can also use it with QuickBooks, Quicken and other software. This check printing software is compatible with Windows 10, 8.1, 8, 7, Vista, XP, Me, 2003, 2000 and Apple Mac systems. Click the top menu "Settings->check setup" to open the check setup page. 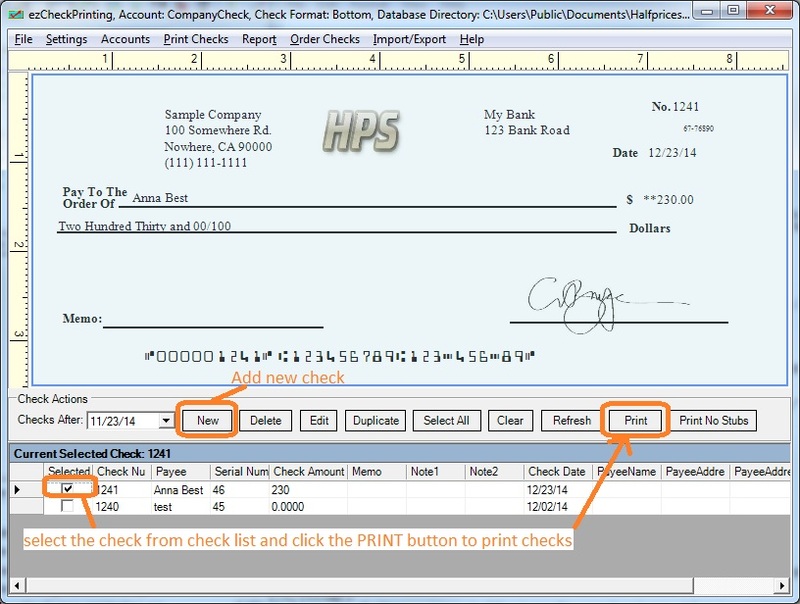 Set up your check information and add your company logo file there. Step 3: Add a new Canada check and print it.